This 4.50 inch round 25 watt (1-25 Watt CREE LED) work light operates on input voiltage 10-30 volts DC. The light provides a super bright 25 degree spot pattern. 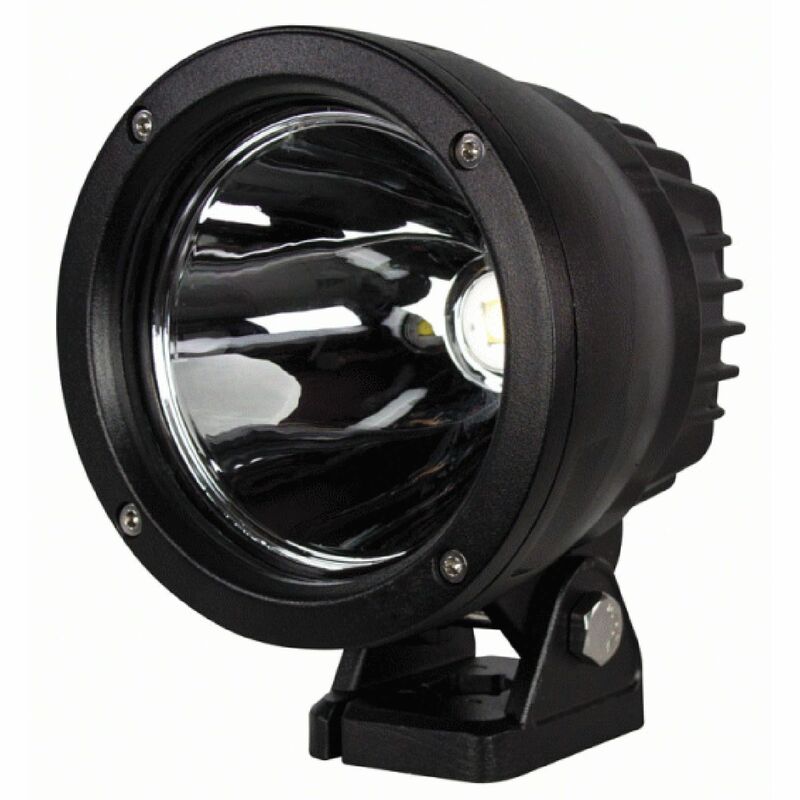 Features Die-cast Aluminum housing with PC lens material & Integrated Epoxy Encapsulated electronics for durability & reverse polarity protection. Comes with Die-cast Aluminum bracket and Stainless mounting hardware.